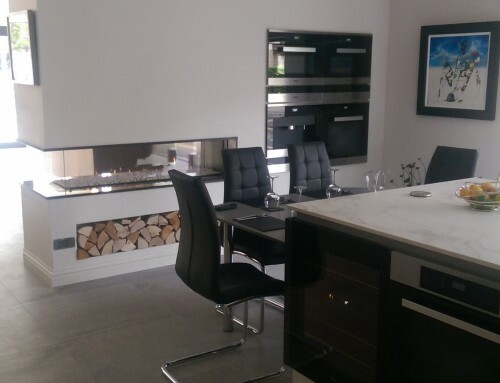 Using our recessed flueless gas fire built into a special joinery unit with TV above the gas fire. This created a very contemporary styling with a traditional twist. 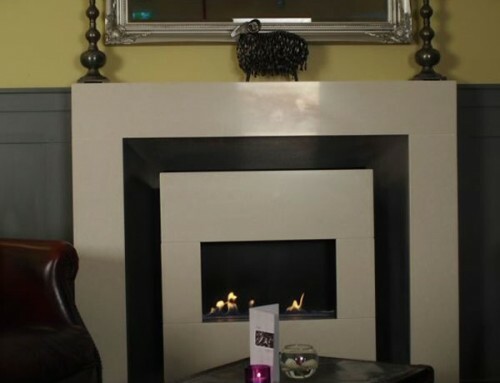 The ANGEL flueless gas fire is perfect for both domestic and commercial properties. 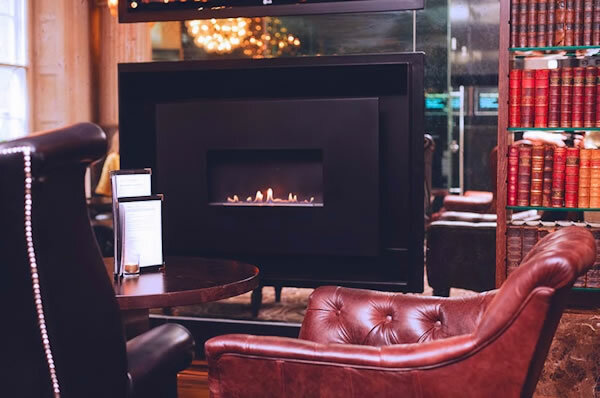 This 100% energy efficient fireplace requires no chimney and will provide up to 3.5Kw of heat. 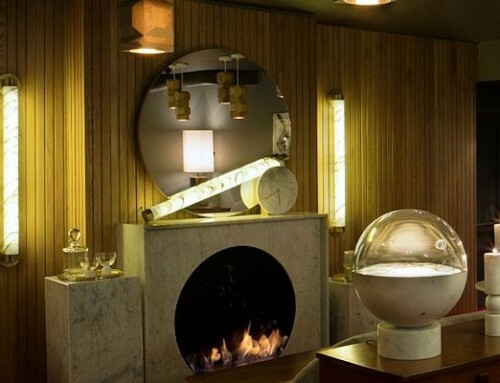 The unique burner design allows us to have a beautiful open living flame and no chimney. 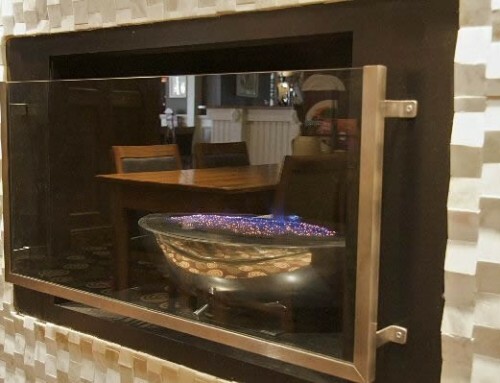 The gas fire is UK made and CE approved allowing it to be installed anywhere in Europe. The fire is CE approved for 11 different gas categories including Natural Gas and LPG/Propane. The fire above is installed with our special deflector and recess system. 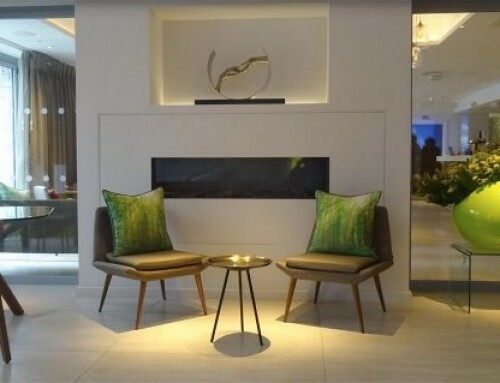 The recess system is available in a range of standard and bespoke colours upon request.